This giveaway will have FOUR winners. At the conclusion of the giveaway 4 winners will be picked and then sent an Amazon code which will be for the specific item. You just choose the standard free shipping for 2-5 days and the code will cover the whole prize. Pictured Outside, also works in attic or living room. About the 1byone 50 Miles Range Digital Outdoor HDTV Antenna as posted on Amazon. Free for Life - Never Pay Your Cable or Satellite For Television Again! You Can Get All Local Crystal Clear Channels Absolutely Free! 1byone antenna can pull in all of your local news, weather, sitcoms, kids and sports programming with NO monthly contract or bills. Just plug it in and connect to your television and let the antenna do all the work. Tools-free Installation - No more traditional outdoor antennas with BIG sizes, no more troubles and hassles to mount it on your roof, and no more pay for the installation. 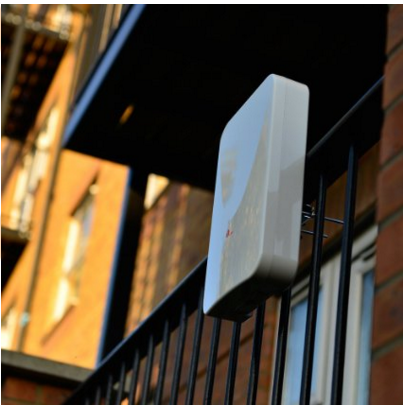 1byone Outdoor Antenna gives you new options! Mount this compact and good-looking outdoor antenna at your balcony, attic, wall, roof or any place you want! Super compact design and super easy installation! Compact and Fashionable Design - Beautify the living building and environment while brings you the free TV and crystal pictures! The compact size reduces the antenna's wind load, no more stucking pixel in windy or rainy days! All Weather Proof - Anti-UV coating, waterproof and snowproof design; shielded for minimum interference, excellent performance for both digital and HDTV signal reception even in the fickle weather and terrible outdoor conditions. You must be a resident of the US and 18 years or older to enter. This giveaway will run from 4/12-27 12:00 am est. You can enter on the Rafflecopter widget below. Thanks for the giveaway! I have an HD television that I don't have a cable box hookup that this would be perfect for. I commented on the linked blog. My name is Leif Eriksen. The 1byone 50 Miles Range Digital Outdoor HDTV Antenna sounds just like what my fiance and I need! With the price of cable going up and our upcoming wedding money is TIGHT! We already have the very least with cable and let me tell you, the options of what you can watch are very limited. I miss my movies and other shows I used to watch! Plain jane boring television is just that..BORING. This would give me back my excitement of movies and let me watch my drama shows!! And we would be happy again and still keep our money in our wallets while planning our wedding! Oh please pick me as one winner so I can unwind with a glass of wine and a movie while making wedding favors. Fingers crossed!!!! Thank you! I would love to have the 1byone 7" Color Wired Video Doorbell,1 Camera+1 Monitor. I am moving to the country with my fiance and never know who will be at the door these days. Where I live now, we had a couple going around trying to give you a renuzite air freshener for a school project just so they could get inside your house to scope it out and then come back later and rob you!! It was a scheme they were running in several towns near me! It was scary. And yes they did come to my house and no, I did NOT let them in my house! They finally left the area. The cops couldn't do anything about them... I couldn't understand that. But that is why I think having the video monitor would be a great thing to have... you wouldn't be surprised to see who was on the other side of your door before you actually got there!